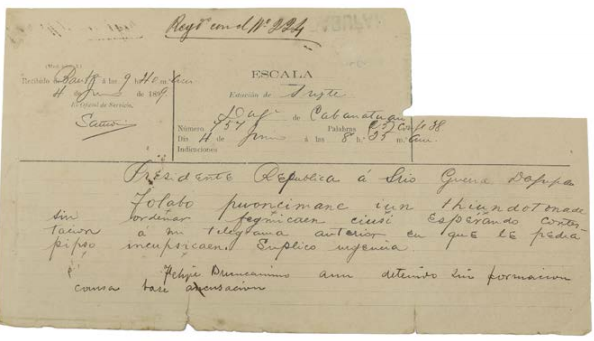 Does this telegram, which has been missing for more than a century, prove that Aguinaldo was behind Antonio Luna's death? The document was dated June 4, 1899–the day before Luna faced his death in the hands of the Kawit Brigade. It’s the telegram historians have been looking for for more than a century. And it’s about to be sold at a floor price of P500,000 in the year-end auction of Leon Gallery. 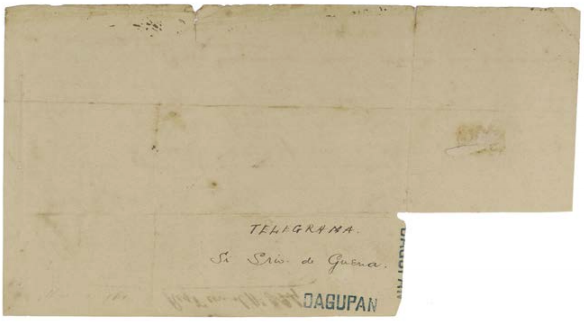 The telegram from Aguinaldo summoning Luna to Cabanatuan for “an important meeting.” The order was written in Spanish. Photos courtesy of Leon Gallery. 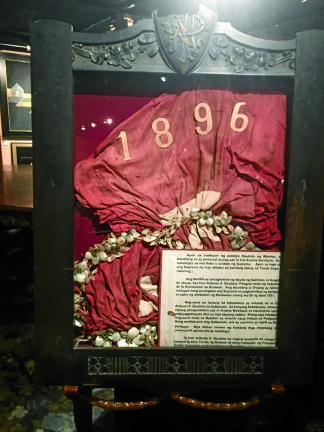 According to Lisa Guerrero Nakpil, auction curator, the telegram was addressed to Dagupan, received at the San Fernando, Pampanga Station at 8:35 a.m., and was delivered in Tarlac by horseback. It has a clipped portion on the upper right corner, which signifies that the recipient, Luna, has received the message. A closer look at Luna’s written response. It was not the only telegram sent by Aguinaldo that summons Luna to go to Cabanatuan, however. Nakpil, citing Teodoro Cada’s account (the telegram operator at that time), said four telegrams were sent “in quick succession and to various telegraph points [around Tarlac] to ensure the messages’ certain delivery.” In other words, Aguinaldo wanted to make sure that Luna would appear in Cabanatuan to face his death. This small, handwritten telegram unexpectedly unearthed in the Luna family hoard plays an important role in our country’s history. Luna was committed to protecting the people during the war with the “urgent matters” he wanted to discuss with the president. Aguinaldo, on the other hand, was committed to silencing Luna. We finally have a proof of the claims we have been questioning for decades. But we may lose this again on Dec. 1, the day Leon Gallery will put this up for auction, to another private collection and forget it for another century. Like what we have said before, the cultural agencies of the government must be given the power to stop the sale of historical objects and enough funds to pay the individuals who want to sell the relic. This is why it is high time for the Congress to create a Department of Culture. We can’t let the words and mementos of our heroes be lost again.